Wine, like sports, is best enjoyed with someone (or something) else. We love to pair up and drink wine, much the same way we like to pair wine with steak, with cheese, with fish, with charcuterie, with fruit, with making out. Wine, like sports, is best enjoyed with someone (or something) else. We love to pair up and drink wine, much the same way we like to pair wine with steak, with cheese, with fish, with charcuterie, with fruit, with making out. The great sommelier Christopher Sawyer pairs wine with movies and music, and some wine makers are now even pairing wine and weed. Last year, during National Poetry Month, I wrote a piece for this magazine in which I paired wine with poets. 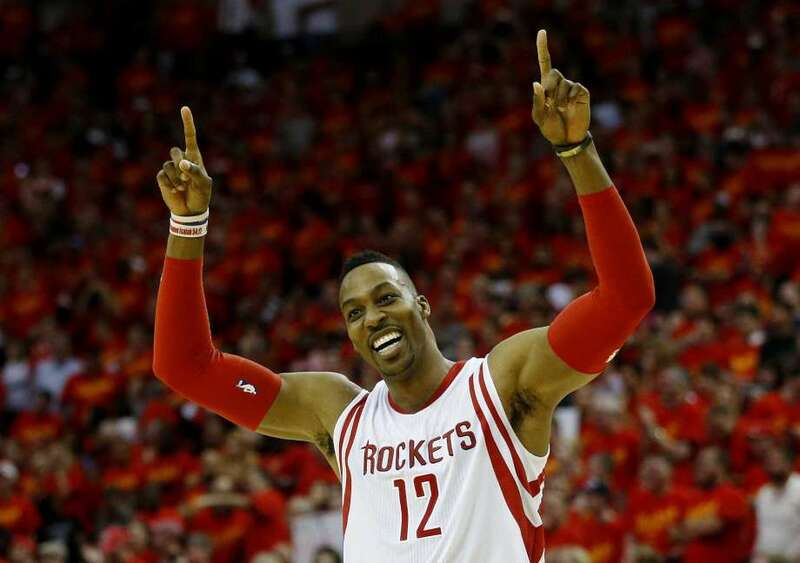 But, National Poetry Month has, sadly, come and gone, which means there is only one other activity that rivals poetry's grace, beauty and lofty goals--basketball. Last month, two fabulous wine celebrations commenced in Northern California --The North Coast Wine Challenge and WOW (The West of West Sonoma Wine Festival), both of which highlighted new and established wines from Sonoma, Napa, and surrounding counties. This month, the NBA finals commence, pitting the Golden State Warriors agains the Cleveland Cavaliers. I can think of no better time or context for reviewing enjoyable wines than hooking up with the most enjoyable pro sports event of the year--a Warriors Repeat! Now, some people think basketball is a beer sport, which I understand. But, grapes look more like basketballs than hops. Plus "hops" and "hoops" are almost the same word. It's way too confusing. My experience is that people want to drink wine while watching basketball, but the snobbery surrounding wine can get in the way. I'm here to help with that. While expert sommeliers like to describe wine as tasting like "forest floor" or "melting road tar," I prefer to associate things I actually like with wine, such as jump shots or slam dunks. So, grab a corkscrew and a glass as I Barkley forth. The top prize at the North Coast Wine Challenge--"The Best of the Best"--also took home the prizes for "Best of Sonoma County" and "Best of Show Red." 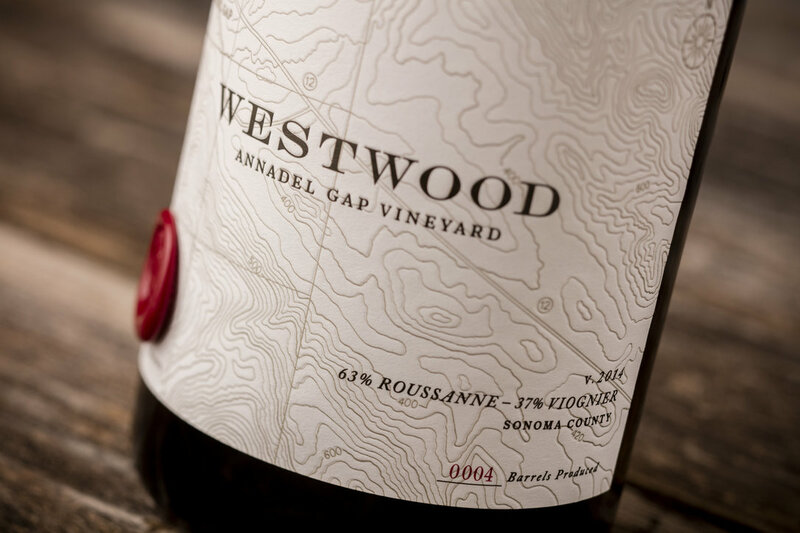 That wine, Westwood Estate's 2104 Sonoma Valley Annadel Gap, Clone 37 Pinot Noir, is good. It's enormous for a pinot and wows easily. I think of it as the Dwight Howard of the wines I tasted. It performs without trying too hard. It is big and kinda brash. Like Howard, this wine is not about finesse; it's about pleasure. I actually preferred the Westwood 2014 Pommard Selection Pinot Noir. This polished wine reminded me of Tony Parker--nimble, hard to predict, impressive, and a perfect blend of America and France. Like Parker, who makes the rest of his team better, this wine will go with any food and, best of all, will make you look smarter. Erin E.'s Pinot Noir, Sonoma Stage Vineyard, wins the Rookie of the Year Award, making her pinot the Karl-Anthony Towns of wine country. The North Coast Challenge was the very first competition the new winery entered, garnering a gold medal. 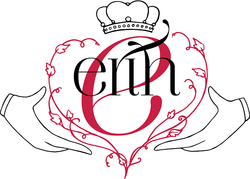 Like Towns, Erin E's pinot is smooth and delightful with amazing potential, and also like its NBA counterpart, it is a big time scorer earning 97 points. Both perform beyond their years and bear future attention. Alexander Valley's Estate Pinot Noir is the Matthew Dellavedova of Sonoma Pinot. This is because like the Cavs star, you get so much for so little. I kept asking Elyse, who was pouring the wine, if the sophisticated, round, delicious wine I was drinking was really only $28 because it tasted like a pinot twice that price. Silky cherry, silky plum, silky vanilla. Silky. I can't imagine going wrong with this wine in any context. Barbecue. Sushi. Nachos. Guacamole. Frito Chili Pie. You name it, this wine will be your silky assist king. 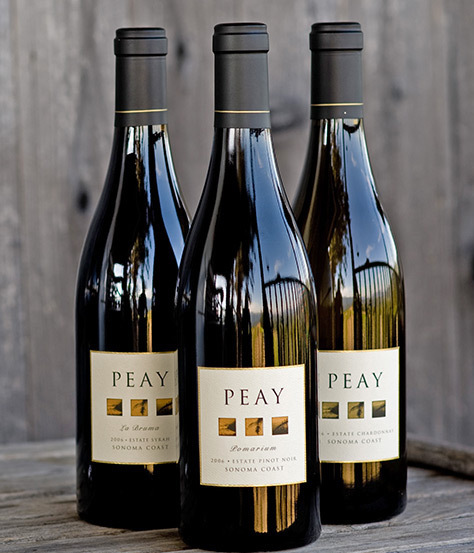 The fan favorite, what we might call the Draymond Green of all the wines, is Peay. Everyone I talked to at the WOW event--every single person--praised all of the Peay offerings. Highlights include the 2014 Sonoma Coast Chardonnay, which at $27 a bottle, is a strong contender for the Hassan Whiteside award. Crisp and clean but oh so balanced, not unlike, say, Kawhi Leonard. The Peay Pinots, in particular the '14 Pomarium and the '13 Ama Estate, are a dynamite duo--the Damian Lillard & CJ McCollum of Sonoma Coast Pinots. Finesse meets power, suppleness becomes explosiveness. Josh Reynolds claims the Ama Estate boasts "very good thrust and youthful tannic grip." That sounds dirty, but it aptly applies to both the Trailblazer backcourt and these two knockout wines. The fabulous wines of Sojourn Cellars made me think of Klay Thompson. Other players tend to get more hype, but when it comes to the marriage of performance, style, impact, and reliability, Klay is one of the great players in the NBA, and Sojourn is one of the great wineries in California. Especially for the price. One of the things I dislike about these wine pageants is how no one talks about how much wine costs. In fact, at WOW, some of the winemakers and pourers did not know what their wines retailed for. For most people, wine is about value--what is the best wine I can get for my money? Sojourn's Sonoma Coast Pinot Noir costs $10 more than Alexander Valley's, but I'd say it is $20 better, making it the Hassan Whiteside of Sonoma Pinot. By this I mean it over-performs for its price. In a recent article, Miami Heat superstar Whiteside was named far and away the best value in the NBA, and this pinot at only $39 is Whiteside-esque in both value and performance. Whiteside plays big; so does this wine. Cab lovers will adore this pinot; beer drinkers will pound this pinot. Their Sonoma Coast Chardonnay which is an alley-oop of fruit and oak is a killer at $38. Higher up the salary ladder are the Gap's Crown and Sangiacomo pinots, which rival other Sonoma pinots pushing $100. Klay once scored 33 points in one quarter--if he does it again, expect Charles Barkley to say, "That is so Sojourn." When I told people my angle for this column, I was always asked the same question, "What wine is going to be your Steph Curry?" My answer will surprise some. Curry is one of the best known athletes in the world; however, not a lot of folks outside the world of Sonoma wine are as familiar with my MVP as they should be. So, who gets paired with Steph Curry? Three Sticks. In two days of tasting, the most impactful memorable wine was the Three Sticks 2013 Sonoma Valley Durrell Vineyard Estate Chardonnay. Creamy. Silky. Plushy. Almondy. Peary. Nutty. Yummy. A perfect balance of acid and oak. It is just right. Similarly, the '13 Russian River Valley Pinot Noir is reminiscent of Curry in that it is smooth but powerful. It scores from everywhere, and like Curry, you admire the finish. Also, like Curry, you get the sense that it is going to keep getting better. Like Littorai, Kosta Browne, and Hanzell, Three Sticks Pinots can (and should be) cellared for a while. What makes these wines so good is the amazing blend of accessibility and complexity--the latter (which is the mark of an enduring wine), heightens over time. 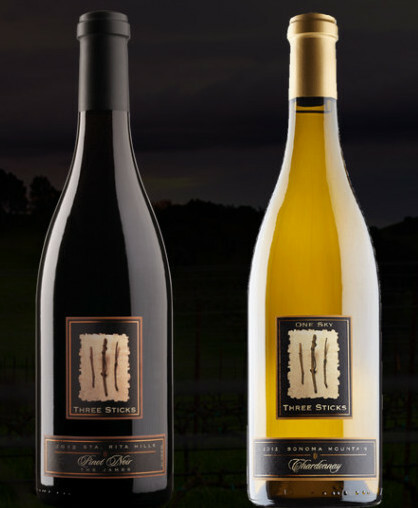 Three Sticks also offers two Warrior-esque cabernets. In fact, they rival Jordan, Kamen, and the truly spectacular Hidden Ridge, for the best Sonoma cab. 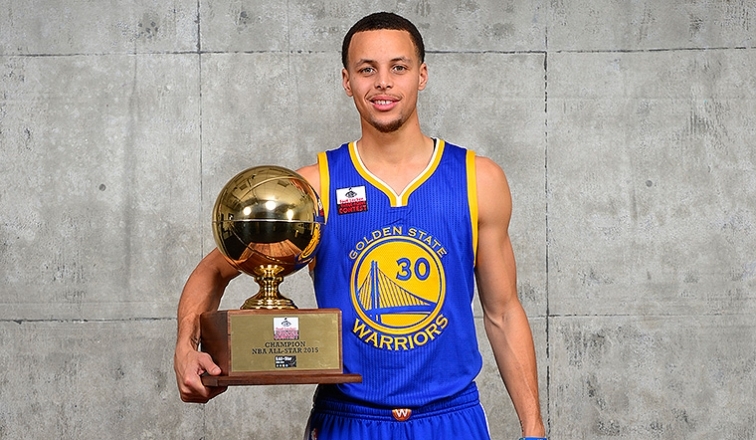 When you watch Curry, you are constantly amazed--so many aspects of his game impress. I had a similar experience with Three Sticks. Out of dozens and dozens of wineries, Three Sticks was the only one I went back to for a second taste. Like Curry, it kept dropping the dynamite. Amizetta - Lebron James: Amizetta's Complexity, a powerfully performing Bordeaux Blend, was probably my second favorite wine. 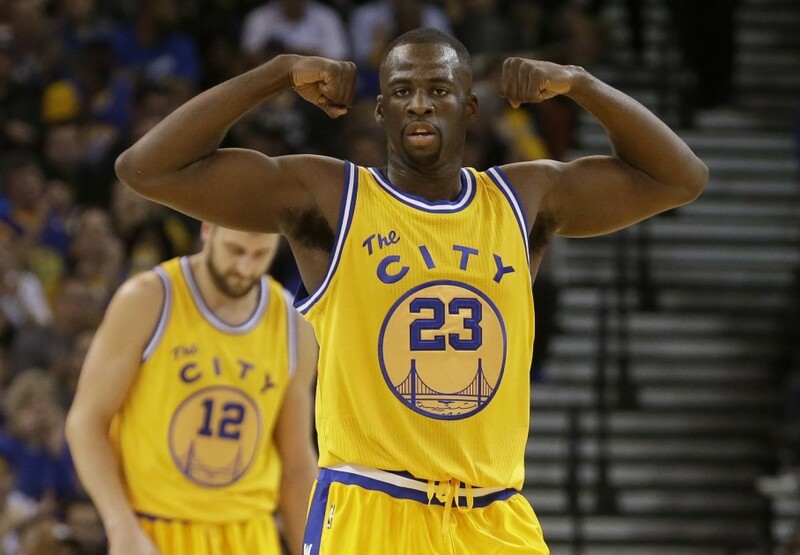 Muscular and sleek, it could easily be the MVP. Silky Merlot does a no-look pass to Cabernet Sauvignon for a one-two punch a la Magic and Kareem. Red Car - Russell Westbrook: Westbrook is one of the most pleasing players in the NBA. He does it all--shoots from outside, drives, passes, and rebounds. Red Car also does it all: pinot, chardonnay, and even a rosé (among the most popular wines at WOW). Westbrook is exciting because he plays on the edge; not unlike Red Car, which is literally on the edge of the continent. But, their wines are themselves perfectly balanced on the edge of fruit and complexity, layered finish and easy mouthfeel. Try the '13 Ritchie Vineyard Chardonnay. Alma Fria - Portland Trailblazers. I pair these two because the Trailblazers were the biggest surprise of the NBA season--in fact, they were predicted to finish near the bottom of their division--and Alma Fria was one of the great surprises of all of WOW. I had never heard of this small production winery, but their '14 Campbell Ranch Vineyard Chardonnay and the '14 Holterman Vineyard Pinot Noir were standouts. Earnest - James Hardin: Funky and fun, Hardin is one of the best players in the NBA, and he is among the most entertaining. He is also wholly unique. I was thinking about him as I enjoyed "The Farmer," arguably the most unusual Chardonnay of either event. Made from the Rued-Z clone, The Farmer (one of many tasty wines from Earnest Vineyards), could be mistaken for Viognier or something more exotic. The friendly and devoted crew at Earnest actually chased me down later in the day to bring me back to the booth, as they had just busted out a Cinsault rosé. Suffice it to say that it was as cool as Hardin's beard. 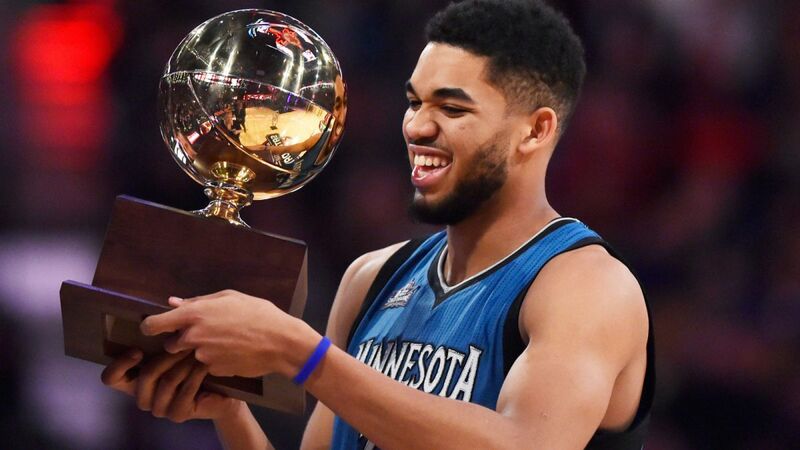 Hirsch - Zach LaVine: Why this pairing? Simple. The Hirsch '13 Estate Chardonnay and '13 Reserve Pinot Noir are slam dunks. Littorai - Kevin Durant: I'm pairing these powerhouses for two reasons. 1) Chango to both! They are spectacular; and 2) everybody wants them. Littorai is one of the msot revered wineries in California, just as Durant is among the most revered players in the NBA. The '14 Heintz Vineyard Chardonnay does to that grape what Durant does to his sport--make it glorious. And their '13 Platt Vineyard Pinot Noir does to most other pinots what Durant does to his opponents--make them look lame. These wines are as timeless and elegant as a Durant pull-up jumper.